When tragedy strikes, humans are often met with the difficult choice to forgive and forget or hold onto our self-inflicted suffering. Everything is Wonderful, which opened last week at Everyman Theatre, explores the complex power dynamic at play when overcoming personal grief. At the core, it’s a lesson on forgiveness. One we all need to hear. Bruce Randolph Nelson and Deborah Hazlett in Everything is Wonderful at Everyman Theatre. The play follows an Amish family after the death of their two sons in a fatal collision with their buggy. In the aftermath of the accident, the family struggles to maintain their steadfast faith. As a step toward forgiveness, the father welcomes the driver who killed the boys into their lives, letting him help on the farm and sleep in the barn. This causes problems within the family and prompts the return of their eldest daughter, Miri, to return home from her excommunication. Chelsea Marcantel navigates the outwardly difficult subject with a beautiful balance of wit and raw emotion. Her writing is both entertaining and heartbreaking. Complimenting Marcantel’s captivating text is the remarkable set designed by Everyman’s resident scenic designer, Daniel Ettinger. He is able to transform a theatre in downtown Baltimore into a rustic barn in Amish Country with ease. His set is as crucial to the success of this production as the performers who walk on it night after night. I have yet to come across one of Ettinger’s sets that haven’t blown me away. 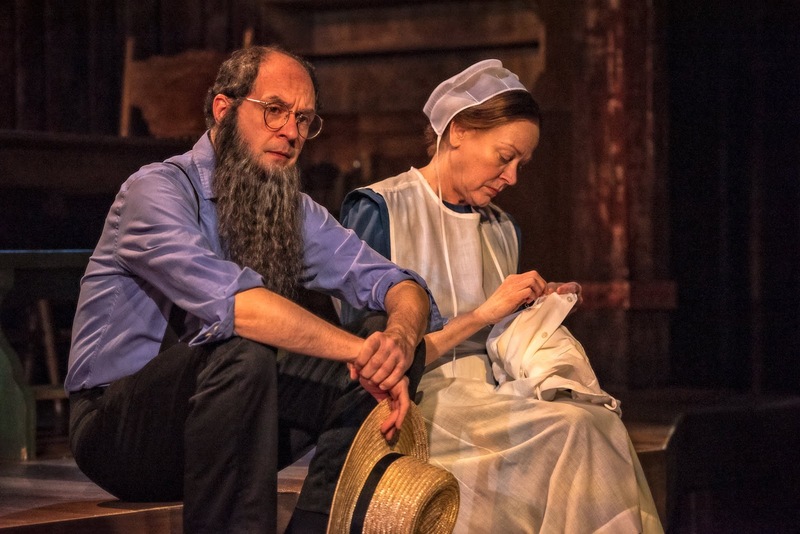 Everyman resident member Bruce Randolph Nelson shines onstage as the Amish father, Jacob. His performance is incredibly dynamic, showing us the challenges of forgiving the unforgivable. Likewise, Deborah Hazlett as the Amish mother, Esther, soars in this production. She is especially moving in the way she carries herself onstage. The entire ensemble of actors work incredibly well together in getting this difficult message across to create a strong production. Everything is Wonderful will linger in your thoughts long after the curtain falls. This production genuinely touches the heart with tenderness; forcing you to find forgiveness in your own life. It’s a crucial piece of theatre that shouldn’t be missed. 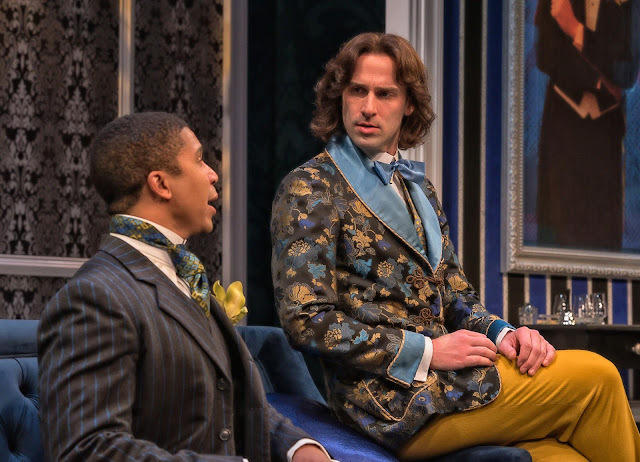 Since its premiere in 1895, Oscar Wilde’s The Importance of Being Earnest has become one of the most successful, well-known comedies in the world. Theatre fans may find themselves mouthing the memorable aphorisms with the performers on stage. That familiarity can be sort of fun as a member of the audience, but all too often leads to the actors emphasizing the comic bits as if bolded and italicized within the play. When that happens, Wilde’s charming characters and observations can be lost in misplaced efforts at fabricated emphasis. That was certainly not the case in the newest production now playing at Everyman Theatre. The plot revolves around Jack Worthing and Algernon Moncrieff's attempts to escape the obligations of society. Deceptions proliferate and are exposed, people fall in love, and, spoiler, everything turns out all right in the end. Sweat, which opened on Friday at Everyman Theatre, is a timely masterpiece brimming with heartbreaking relatability. 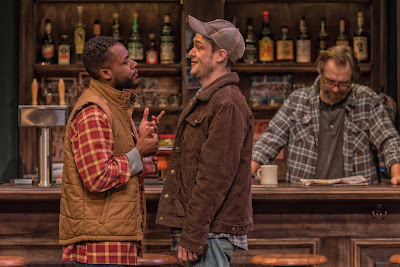 Set up the road in the blue-collar town of Reading, Pennsylvania, Lynn Nottage’s Pulitzer Prize-winning play explores the real-life consequence of deindustrialization leading up to the 2008 recession. The story begins in 2008 with a meeting between a parole officer (Jason B. McIntosh) and two ex-convicts, Jason (Matthew Alan Ward) and Chris (Vaughn Ryan Midder). Flashing back to eight years earlier, we begin to learn the circumstances that put these men in prison. In addition, we are introduced to a livelygroup of friends who work at the steel mill and unwind at the same bar just as they’ve done for 20 years.